PT. Alson Integra Lumindo sells LED downlights with a choice of color and color temperature options. The lamps are finished with high standards and are ideal for use in high-end applications such as retail, hospitality or offices. Lamp fixtures hidden in the ceiling to illuminate the room are called LED Downlights. Sometimes called "can lights" or "pot lights," LED downlights can be attached to existing equipment by removing the original bulb and trimming before attaching the screw to the LED module adapter to the socket. Not only are LEDs 85% more energy efficient than incandescent lamps, LEDs produce less heat. This saves extra money on your electricity bill because you will spend less air conditioning to try to cool the room where your light bulb heats up. LED Downlights have played an important role in many homes today because they serve as the basis for good lighting plans. The main purpose of the downlight is to provide functional ambient light throughout the house. Their appearance, practicality, and extraordinary ability to blend in well with other lights such as chandeliers or spotlights make them excellent lighting. Therefore, it is very important to get the right downlight that not only performs well, but is also reliable and will last a long time for you. A kind of LED Downlight Lights is a perfect choice to illuminate or accent any project or contemporary features. These lights can be used indoors and outdoors, on walls or floors, in wet or dry applications and create fantastic possibilities in domestic and commercial environments. 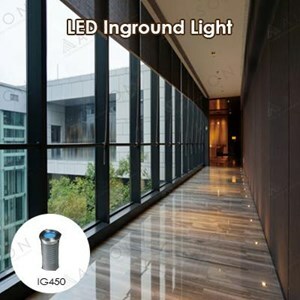 The Inground LED light is available in single color and RGB color change options. LED Downlight Lights allow designers and architects to create the mood or lighting effects desired for each project according to the expectations of the owner.